Practice Electrical Machines questions and answers for interviews, campus placements, online tests, aptitude tests, quizzes and competitive exams. This set of Electrical Machines Quiz focuses on “Phasor Diagram of a Cylindrical Rotor Alternator”. Explanation: Flux addition in ac machines is due to sinusoidal flux distribution and they must be stationary with respect to each other. Explanation: Hysteresis effect causes the flux to be lagging in nature. 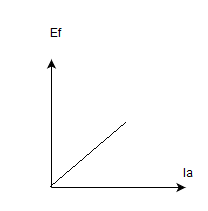 Explanation: It is the angle between excitation voltage and the terminal voltage. 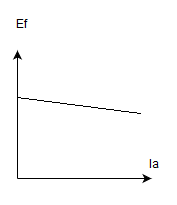 Explanation: There will be linear relation in Ef and Ia as mmf required is zero. 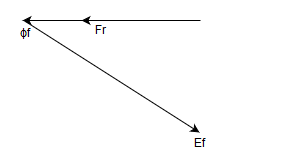 Explanation: Graph of Ef vs Ff is the open circuit characteristic of the machine. Explanation: At the short circuit of the alternator is having the linear relation as the armature does not enter the saturation mode due to demagnetizing nature of armature reaction. 8. 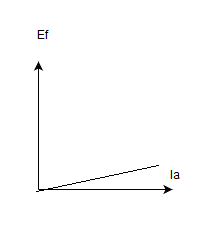 From the OCC and SCC curves, what does the intercept AB represent? Explanation: It is armature reaction which is calculated based on Potier triangle. 9. 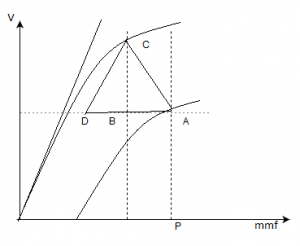 From the OCC and SCC curves, what does the intercept BC represent? 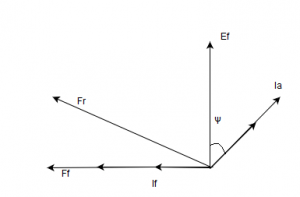 Explanation: It is leakage reactance which is calculated based on potier triangle. 10. 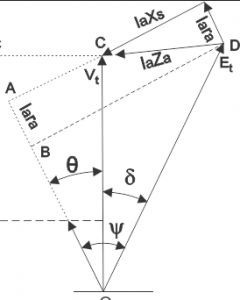 The leakage reactance can be determined with lesser accuracy by using Potier triangle. Explanation: The leakage reactance can be determined with better accuracy by using Potier triangle. d) none of the mentioned. Explanation: The potier’s method is very accurate because emfs are handled as voltage and mmf as AT. 12. Choose the correct representation for the time phasor below. 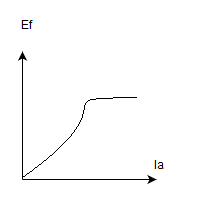 Explanation: It is the angle between excitation voltage and the armature current. 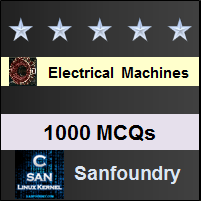 Sanfoundry Global Education & Learning Series – Electrical Machines. To practice all areas of Electrical Machines for Quizzes, here is complete set of 1000+ Multiple Choice Questions and Answers.